Black Jade Vine - VERY RARE! 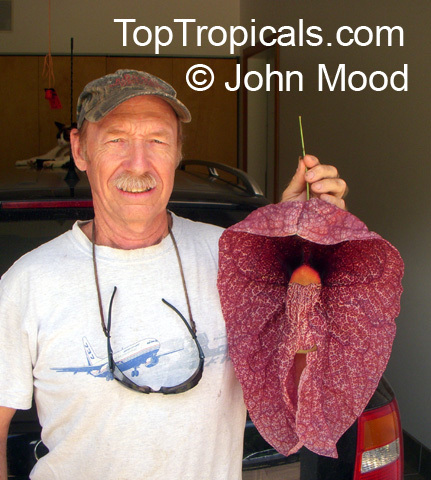 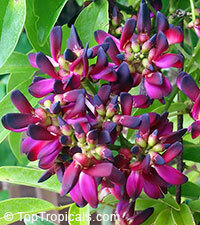 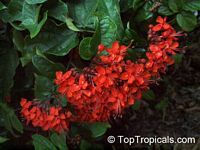 Related to red Jade vine (Mucuna bennettii). 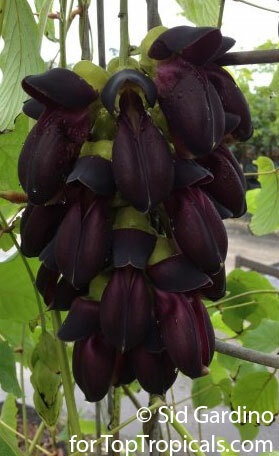 The dark violet blooms appear closely pushed together in grape like clusters, up to 1 ft long and 6" in diameter. 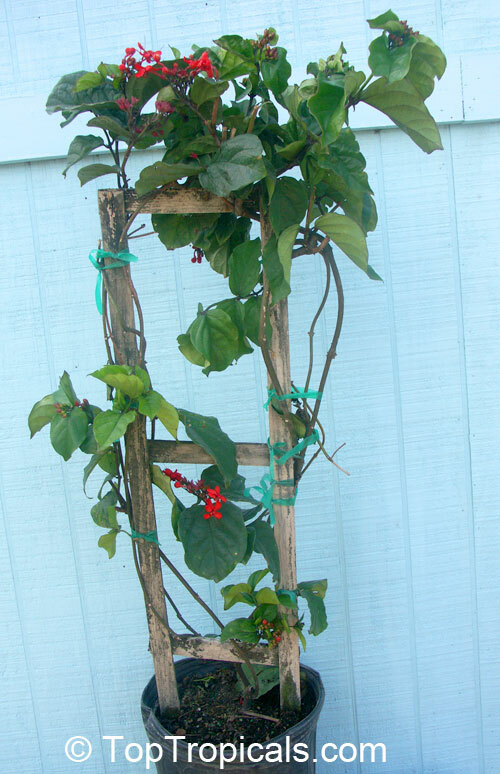 Very vigorous woody tree creeper - during warmer weather this vine can grow 2 feet or more a week. 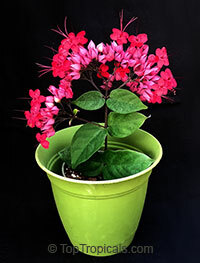 Cold hardy in Florida to at least zone 9b. 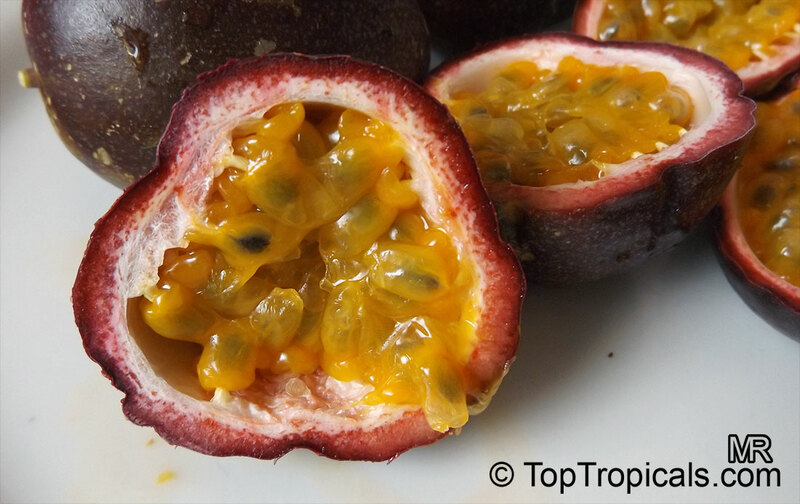 Fragrant Granadilla. Yellow, elongated fruit. 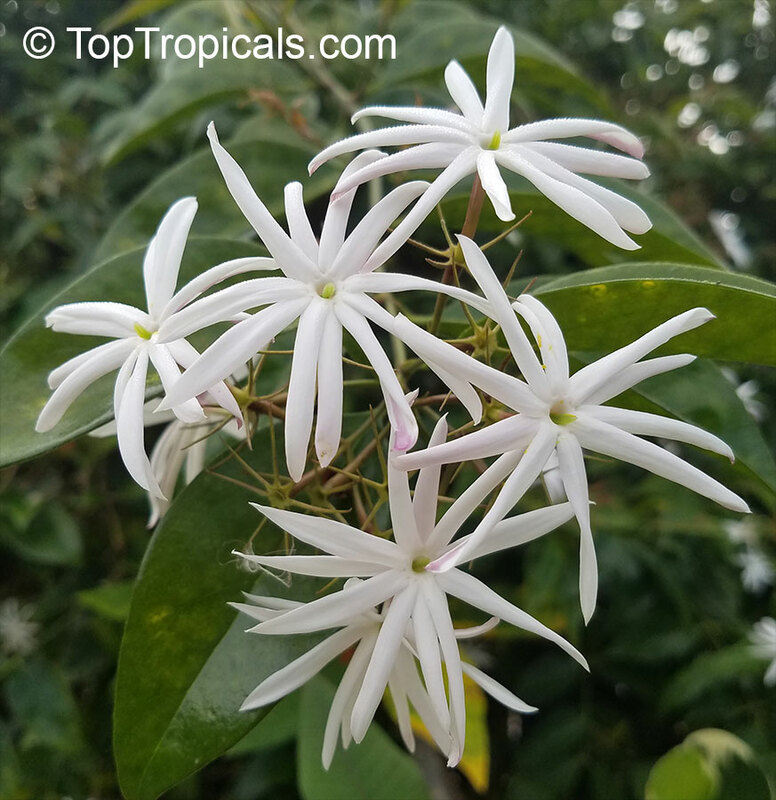 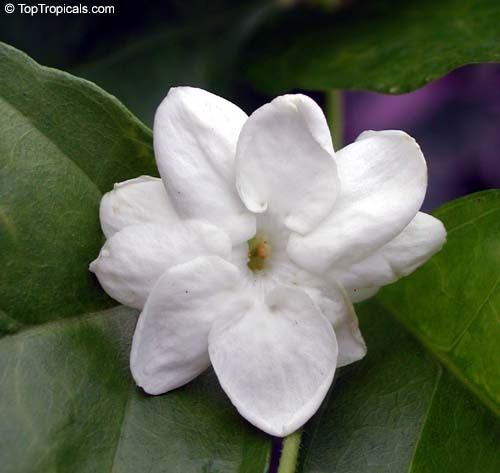 It is incredibly fragrant which is why gardeners love growing it, but the fruit is found to be the best out of the other varieties. 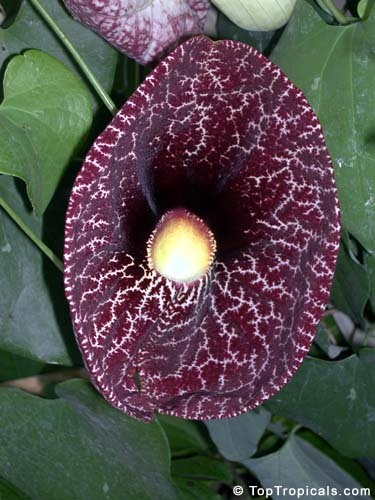 A vigorous grower from 10’-20’, it bears in late Summer to early Fall absolutely stunning, pendulous dark crimson/violet flowers, 4” across. The large, almost leathery leaves are attractive year around. 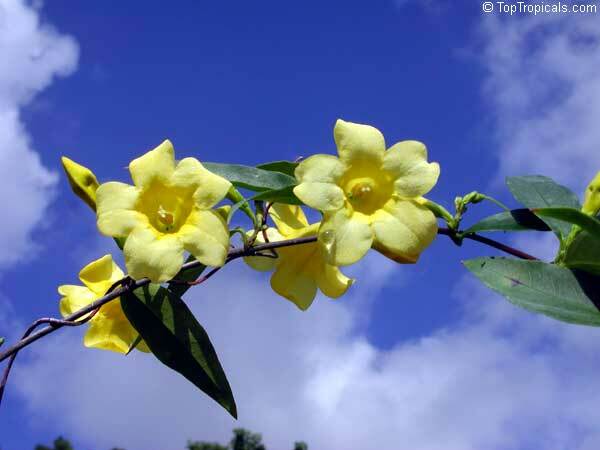 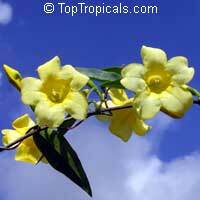 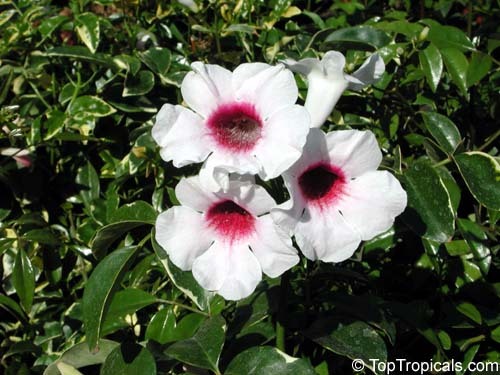 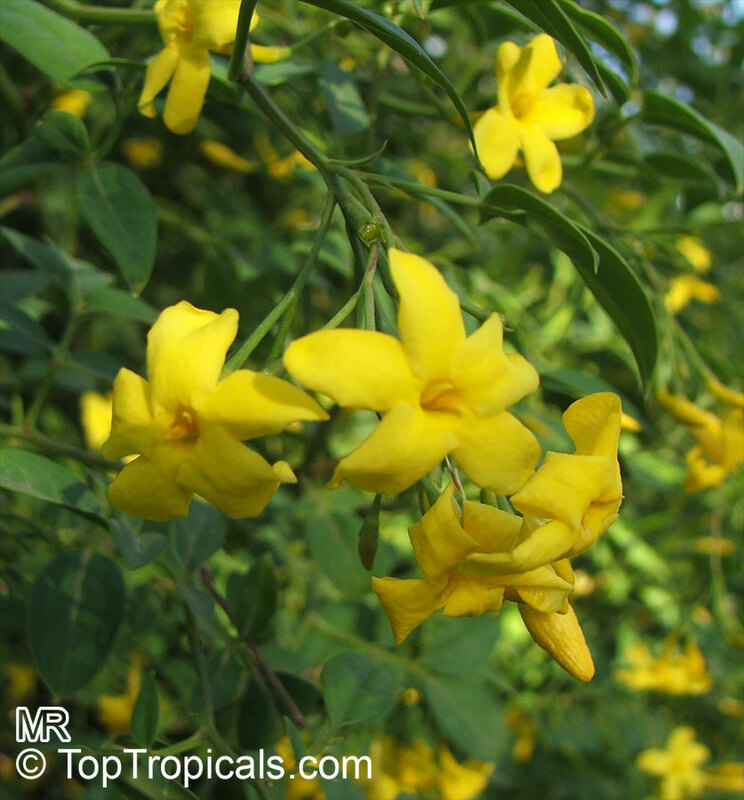 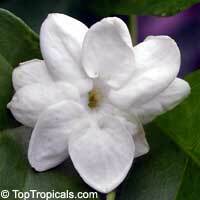 Grown in home gardens and commercially for its fragrant edible fruit in Brazil. Cold hardy to 28-30F. Best grown in a warm spot in rich, regularly watered soil. 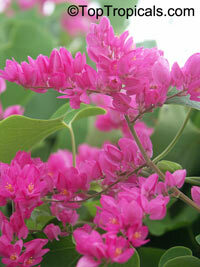 Flowers appear on new growth, so any pruning should be done early in the season. 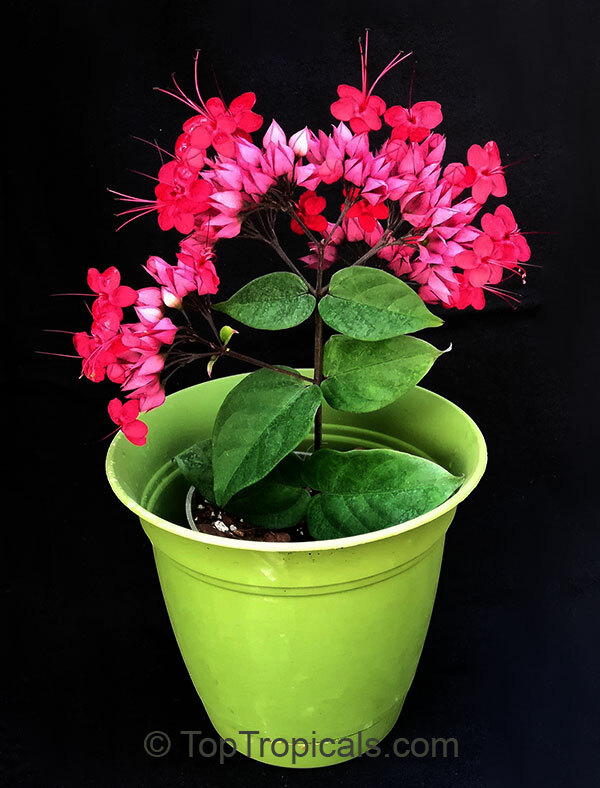 Can be grown in a large container. 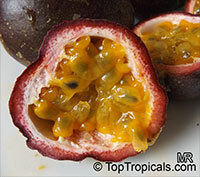 Yellow Passion Fruit, Maracuya - delicious fruit, flavor is appealing, musky, guava-like, acid. 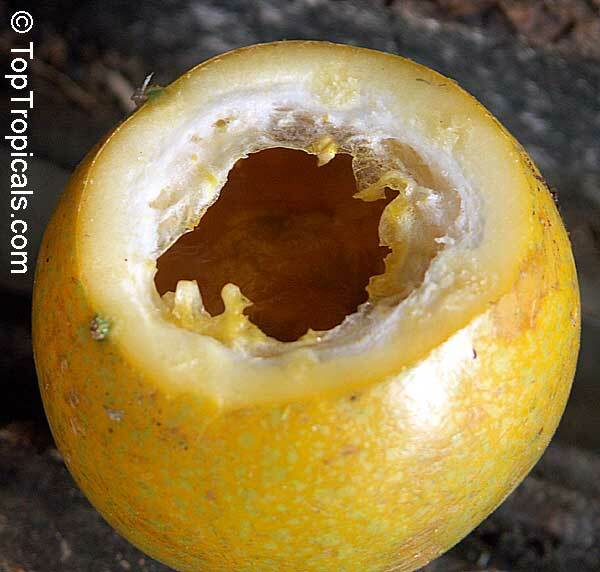 Great for drinks. 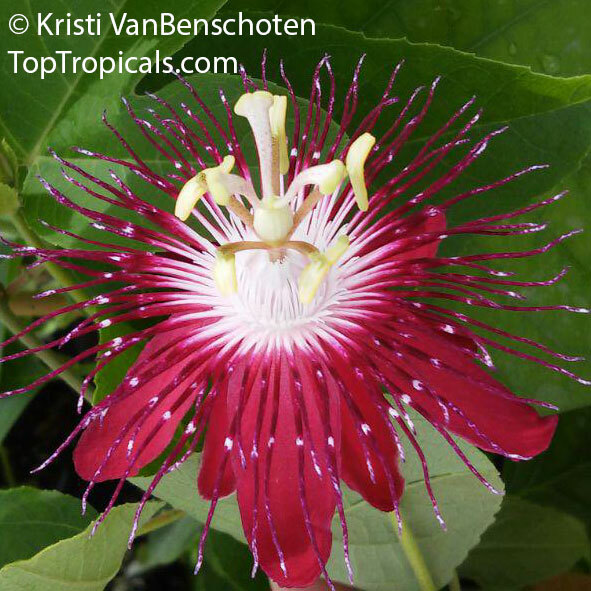 Panama red Passion fruit. 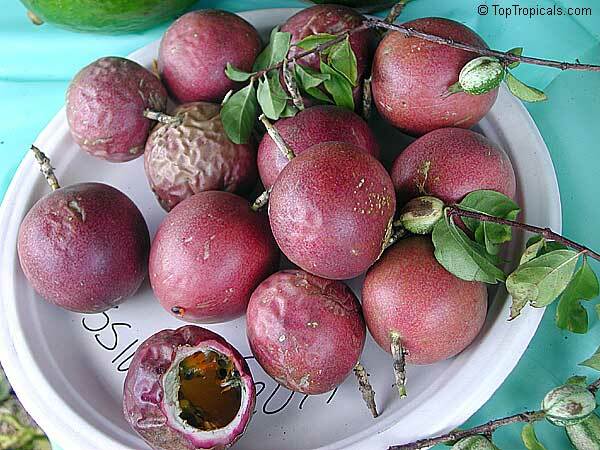 A hybrid passionfruit that is vigorous and more tropical than others. 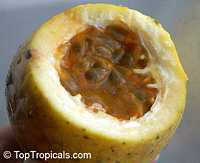 The large fruit has attractive red skin and crops very heavily from Autumn through to Spring. 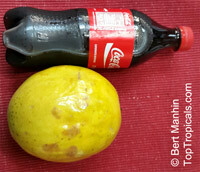 Delicious fruit, flavor is appealing, musky, guava-like, acid. 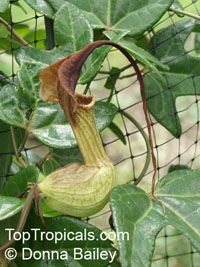 Great for drinks. 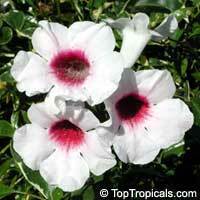 Vigorous fast growing vine that is relatively cold tolerant. 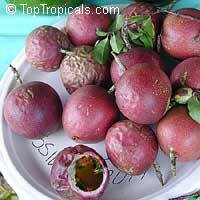 Purple Passion Fruit, Maracuya - delicious fruit, flavor is appealing, musky, guava-like, acid. Great for drinks. 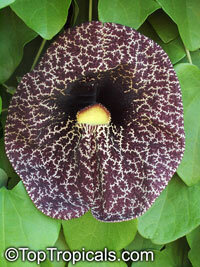 Vigorous fast growing vine that is relatively cold tolerant. 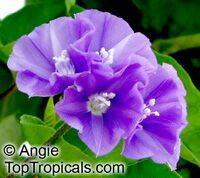 Beautiful flower of striking purple color with a wonderful fragrance. 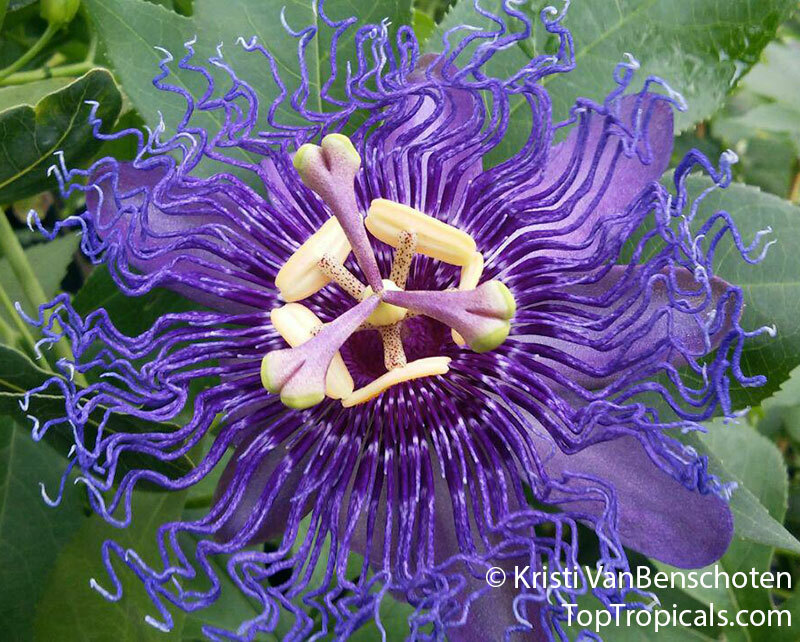 This passionflower is a hybrid of Passiflora incarnata and Passiflora cinnicata. 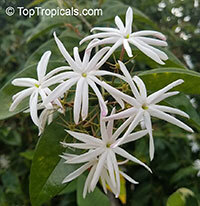 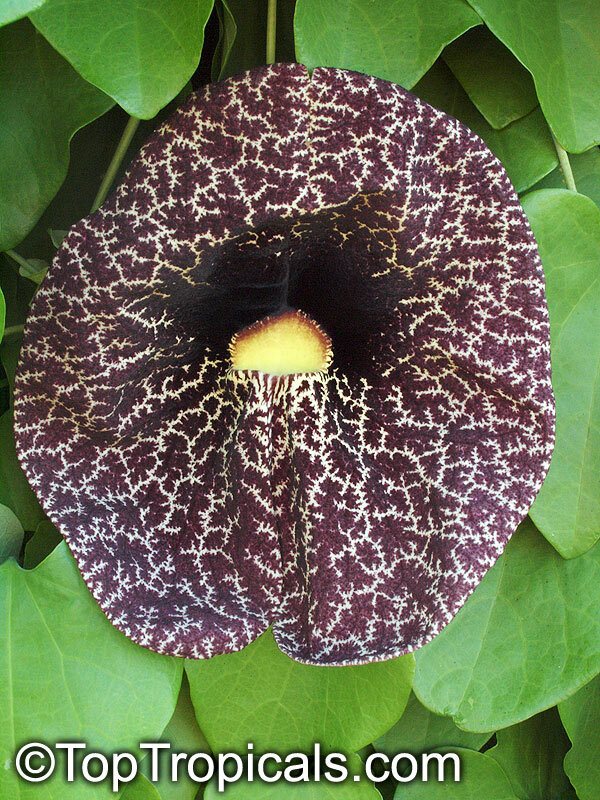 Fast growing vine that tolerates sun or shade and flowers from spring through summer. 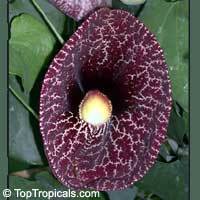 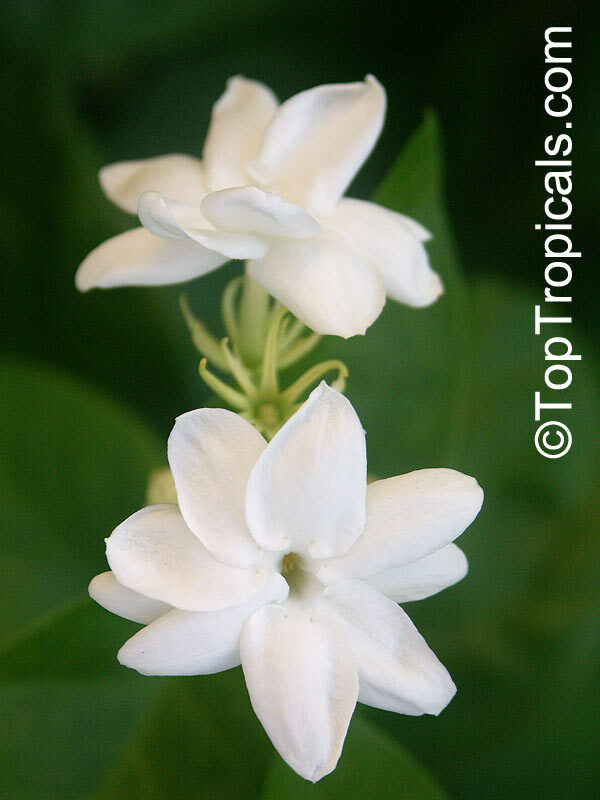 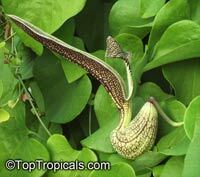 Grows so vigorously, great for butterfly gardens. 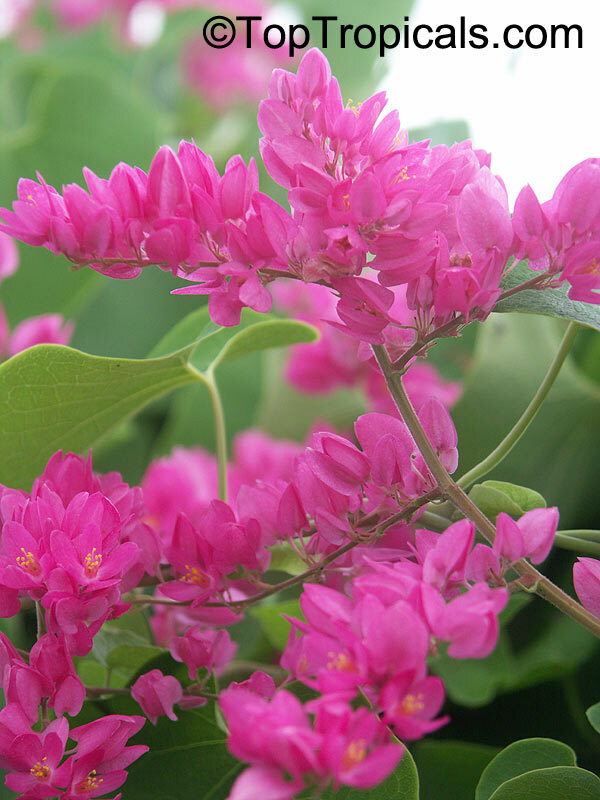 Produces lots of flowers and attracts Gulf Fritillaries and other butterflies.